To cap our Cajun-New Orleans menu, I decided to have them make Flambéed Bananas for dessert. Who can resist setting their food on fire?!? And, one of the kids, suggested we just stand around the stove and sing around the pan...since we weren't having a cake with candles. Great idea! In a large sauté pan over medium heat, combine the butter, brown sugar, and orange zest. Cook, stirring occasionally, until the butter melts and the sugar is dissolved, approximately 5 minutes. Add the banana slices and cook, until just tender, approximately 2 to 3 minutes. Keep your face and hands away from the pan! I have deemed this my favorite dish from December and posted it to Sid Sea Palm Cooking's First Monday Favorites event for January 2017. Click to go to her post: here. Yum, and how much fun is that? 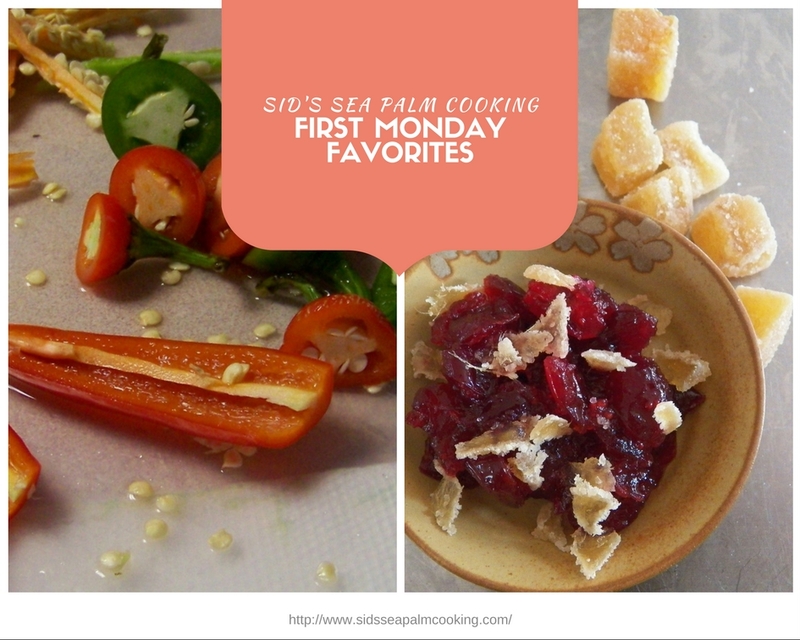 Thanks so much for sharing it for my first official First Monday Favorite recipes. It is a great idea....what a week your birthday boy had!!! I would accidentally set fire to myself. But it's probably worth the risk! Hope the birthday boy had a fabulous day. What a fun recipe and I'm sure it's absolutely delicious too - It's exactly the type of thing my husband would love! We did Beef Bourguignon over the holidays and the flambe is the favorite part with our nephews. So fun! I love all of the adventures you take in the kitchen with the boys.